Convert currencies with a single click! With click.to OANDA. You’ve found a DVD on Amazon™ and want to know how expensive it is in another currency? 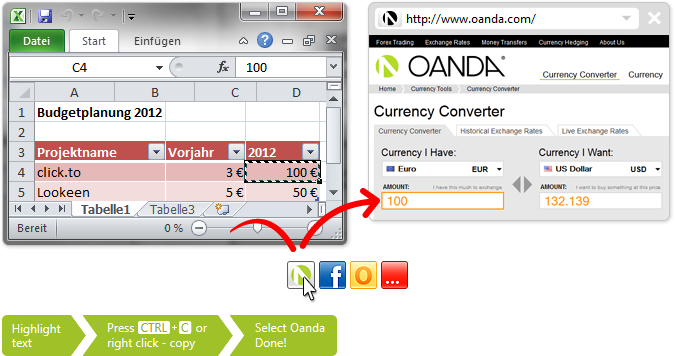 Click.to OANDA can find out quickly: Simply highlight the amount, copy, and click the OANDA icon above your mouse cursor for a quick conversion. OANDA opens automatically and adds your request to the search bar. Displaying your results with one click!